Spiralizer 5-Blade Vegetable Slicer Just $29.99! Down From $50! PLUS FREE Shipping! 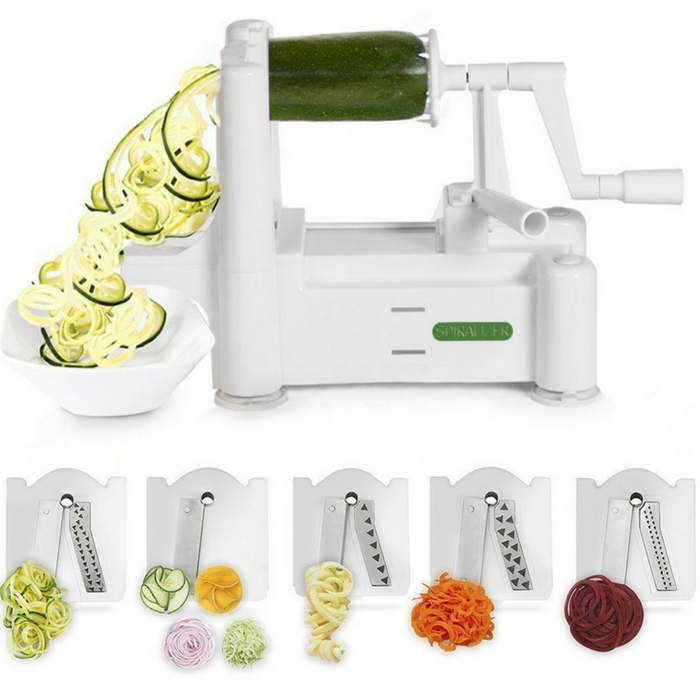 You are here: Home / Great Deals / Amazon Deals / Spiralizer 5-Blade Vegetable Slicer Just $29.99! Down From $50! PLUS FREE Shipping! With a raving 4.6 star rating and over 9,000 reviews, this vegetable slicer would surely interest you! Amazon is currently offering this Spiralizer 5-Blade Vegetable Slicer for just $29.99 down from $49.99 PLUS FREE shipping! This heavy-duty vegetable spiral slicer was created with you in mind. The 5 different Japanese stainless steel cutting blades are strong enough to spiralize even the toughest fruits and veggies, like sweet potatoes, squash, and ginger root. You will wonder how you ever got along without your Spiralizer! If you a looking for a special and thoughtful gift idea, then you may want to consider this luxurious Spiralizer for all your favorite people. Most people want to add a bit more fruit and vegetables into their life, and what could be better than using this Spiral Cutter to accomplish that goal. Awesome!